High-Definition Voice or HD Voice allows you to establish calls between supported AT&T Office at Hand Desk Phones, desktop app and mobile app with high quality voice audio. This feature is available to Office at Hand Premium and Enterprise customers. Office at Hand now uses the OPUS Codec, which is designed to deliver better user experience with more clarity in HD Voice, especially in limited bandwidth and network environment. NOTE: The HD Voice trigger has been removed from the VoIP Calling settings within the AT&T Office at Hand mobile app in version 7.4, which means that HD Voice is automatically enabled by default in version 7.4 of the Office at Hand mobile app. Click here for instructions on how to enable HD Voice on the previous version of the AT&T Office at Hand mobile app (versions 7.0 – to – 7.3). NOTE: If your device does not meet the minimum requirements for HD Voice with OPUS Codec support, HD Voice will be using the G.711 Codec uncompressed audio, which was designed to carry audio at 64 kbit per second fixed rate. Follow these steps to enable HD Voice on the AT&T Office at Hand mobile app. Launch the AT&T Office at Hand mobile app. 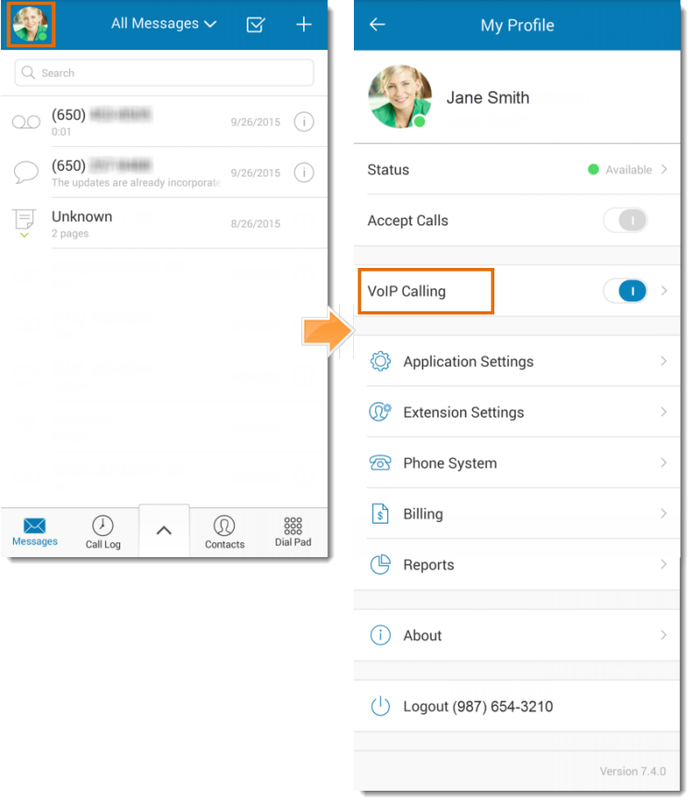 Tap Menu and then select VoIP Calling. 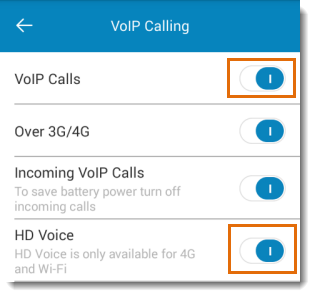 Ensure that VoIP Calls is enabled and then set HD Voice to ON.